San Ysidro Health has been providing Women, Infants, and Children (WIC) services for over 30 years and currently has five convenient WIC locations. San Ysidro Health’s cooking classes teach patients how to make healthy and delicious meals. We also offer special classes for pregnant women and parents of pre-school children. Cooking classes are taught in San Ysidro Health’s Cocina, a teaching-kitchen / classroom which is located inside The Maternal and Child Health Center. 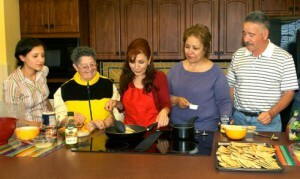 All registered San Ysidro Health patients may attend San Ysidro Health’s cooking classes.